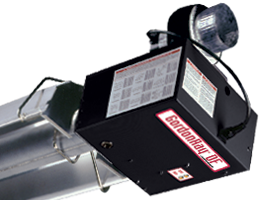 Radiant tube heaters competitively priced for the bidding market. Power burner units for fast installation and low first cost. Available in a wide range of burner sizes and lengths. Two Stage Infrared Tube heater for the bidding market. Two stage gas valve gives the heater two firing rates. 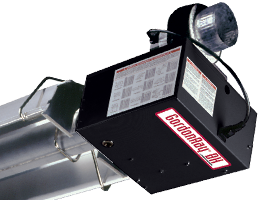 For higher efficiency and improved comfort, use the Vantage Modulating Tube Heater.